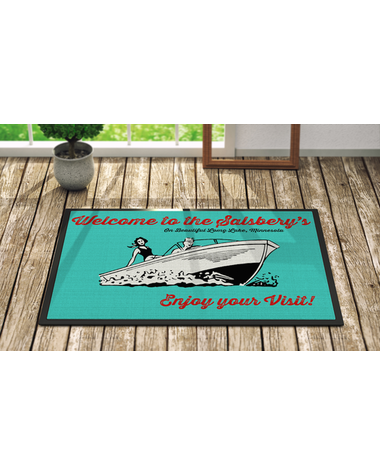 Welcome your guests to the lake with this colorful lakehouse door mat. 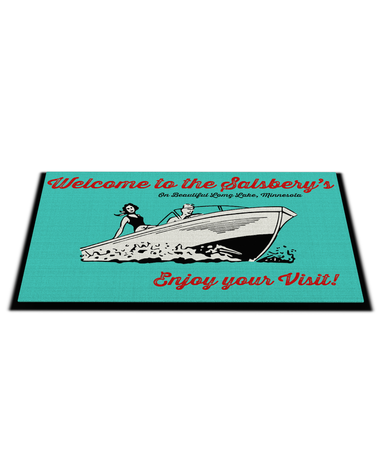 The mat is printed in a vivid blue and features a retro looking boat. Made from polyester tufted loop material, bound on all edges with a rubber back. Ideal for indoor or outdoor use. 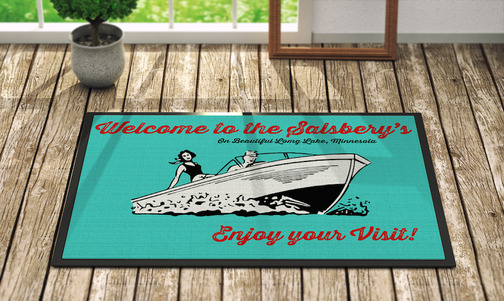 The mat is a generous 36" x 24" and is beefy enough to stay put when the lake gets windy.